Since 2003, he has been Director of the German Development Institute (DIE) and he has taught at the Institute of Political Science at the University of Duisburg-​Essen. Previously he was Academic Director of the Institute for Development and Peace (INEF) at the University of Duisburg. 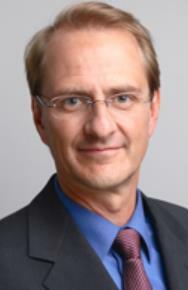 Dirk Messner completed numerous research stays in Asia and Latin America in the past 20 years (e.g. Chinese Academy of Social Sciences, Beijing University, Research Centre for the Developing World (RIS) in New Delhi, Sogang University, Seoul; CEPAL in Santiago de Chile, Buenos Aires, Montevideo, Universidad Autónoma in Mexico City, Universidad del Pacífico in Lima, Fundação Getulio Vargas in Rio de Janeiro), directed many international research programmes and thus created a close international research network. He is Co-​Chair of the “European Think Tank Group on International Development” established in 2009, where five leading European research institutes from Germany, the Netherlands, France, Great Britain and Spain coordinate their research programmes and prepare joint research and consultancy initiatives. Dirk Messner is Vice Chair of the German Advisory Council on Global Change (Wissenschaftlicher Beirat der Bundesregierung Globale Umweltveränderungen (WBGU)), member of the China Council for International Cooperation on Environment and Development, which gives advice to the Chinese government on questions of economic and environmental policy. Furthermore, he is member in academic advisory councils of various academic organizations (e.g. Potsdam Insitute for Climate Impact Research, German Foundation for Peace Research (Deutsche Stiftung Friedensforschung), International Council for Sciences /​Global Sustainability Research).